The Seymour Duncan Antiquity II Strat Surfer delivers a great vintage Strat chime, perfect for players wanting that classic surf rock tone. This easy-to-install pickup is complete with vintage 'push back' cloth braid hookup wire. 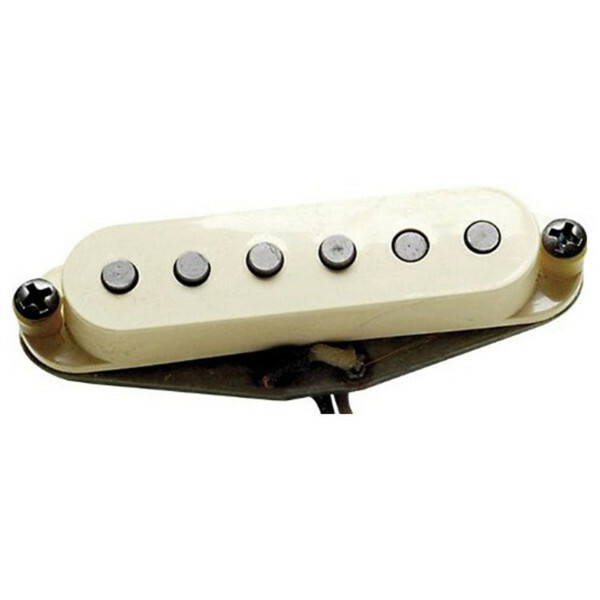 The Antiquity II '60s Surfer pickup has been praised for its vintage Strat® chime and quack by many members of the Seymour Duncan User Group Forum. Whether you play Blues, West Side Soul, Surf, or Pop, this pickup works great as it produces sweet highs and percussive lows.